We love an elevated perspective and this project was high up on the satisfaction scale for the work we have brought to life. 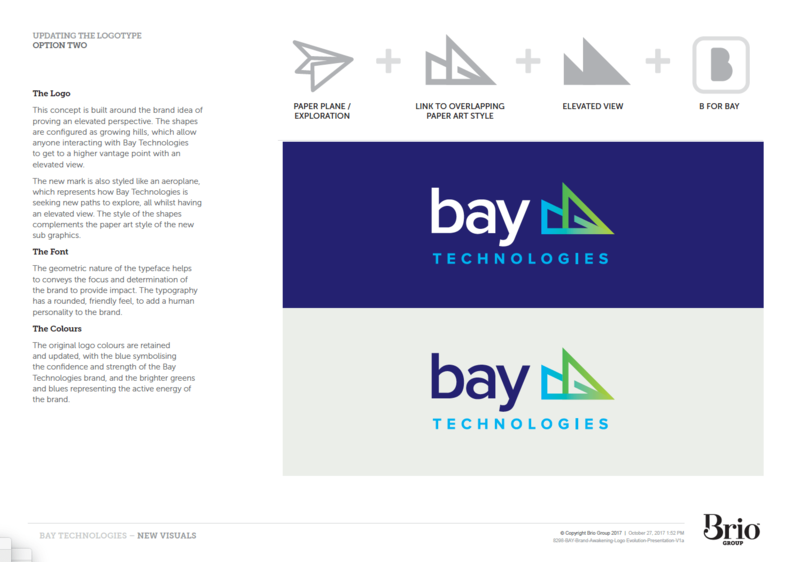 Brandonian had set the context for the Bay Technologies brand (read the archetypal journey here) and we were given the fun job of awakening the new brand to support the Explorer archetype positioning. We started with the logo. The current logo (below) had been around for many years and so we wanted to retain a visual link so it was recognisable. Here is an outline of our thinking and rationale for the new logo that was selected to support the Explorer positioning. The concept is built around the brand idea of proving an elevated perspective. The shapes are configured as growing hills, which allow anyone interacting with Bay Technologies to get to a higher vantage point with an elevated view. The new mark is also styled like an aeroplane, which represents how Bay Technologies is seeking new paths to explore, all whilst having an elevated view. The style of the shapes complements the paper art style of the new supporting graphics. The geometric nature of the typeface helps to convey the focus and determination of the brand to provide impact. The typography has a rounded, friendly feel, to add a human personality to the brand. 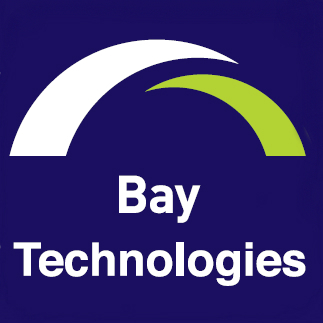 The original logo colours are retained and updated, with the blue symbolising the confidence and strength of the Bay Technologies brand, and the brighter greens and blues representing the active energy of the brand. While developing the logo we were also thinking about the supporting graphics that would bring it all together and create the platform to tell the stories for the brand. Here is what we created. The look is very unique to Bay Technologies and there are many elements in there that all talk to the subconscious about the service Bay are delivering their clients. You will also see many elements, shapes and colours that support the Explorer archetype. It is so much fun to see it all come together and to know the difference this Brandonian archetypal branding system can make for our clients. We are now in the process of updating corporate collateral and the website, writing content in the newly defined Explorer branded language. We will share more with you as we rollout the deliverables. If you want to know more about how we work give us a call on 1800 8710 8710 .